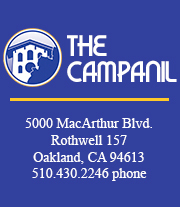 We at the Campanil thought this was the perfect opportunity to reflect on Mills’ history of civic engagement and its success, as well as current acts of engagement and what we can do in the future to live up to the strong social justice reputation here. Because of the intense media coverage that put Mills in the spotlights, Mills is perhaps known best for its protests and occupation in 1990 after the President and Board of Trustees announced a decision to make the college co-ed. This decision was based on a need for money. The protests and occupations opposing this lasted two weeks and shut down classes due to strikes and boycotts. As one former student wrote in an article for Ms. magazine, teachers largely understood and worked with the students. For a school as small as Mills, the amount of press coverage for this was groundbreaking and helped give Mills its reputation as a school with a strong social justice and activist focus. This event was important largely because it was successful (the decision was reversed) and because it inspired activism in some students for the first time. It started important conversations about the importance of a women’s only education and impacts that can be made at schools as small as Mills. With this social justice reputation, it is important now to look at how students at Mills are engaging in civic engagement, and to discuss what they can do to be effective. Most recently, during Convocation, a group of students at Mills interrupted the event to advocate and demand support for the undocumented student population at Mills. They listed their demands and discussed their plans to meet with President Hillman, who afterwards applauded their efforts. Then, on Jan. 18, President Hillman sent an email explaining the new efforts Mills will take to support undocumented students. What makes civic engagement successful? We believe that having a list of demands is essential to any goal, and it has been an important part of success in the past. It is also important for those involved to educate themselves and explore multiple perspectives on the issue at hand to avoid internal conflicts between people with the same goals. Above all, no matter how late a person comes in, it is still possible to be involved and make a change. For example, even if a person was not involved in the original event at Convocation, they can still make a difference by joining the team that will follow up and ensure that the group’s demands are met. Overall, as important as it is to embrace Mills’ history, it is important to live it.